Forced to relocate their den, Kate, Humphrey, and the pups befriend Amy, a dinosaur, who needs to stop a digging before a T-Rex's spirit emerges, just like hers did. Now, they will have to work together before it's too late. After Kate, Humphrey, and their three pups are forced to relocate their den, they discover Amy, a friendly raptor that magically came to life after being undercoverd during a big dig. 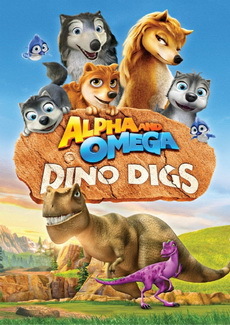 The pups and their forest friends show Amy the wonders of their new world, and must work together and try to stop the diggers from unearthing the dangers T-Rex before it is too late.